Over the years our unwavering commitment to the Health Industry Profession has afforded us valuable support from various associations and groups in the form of “Memorandums of understanding” or an “approved product provider” to their members. We look forward to working with the associations and groups for many years to come. Depending on which insurance you choose, you will have peace of mind for a multitude of situations that can happen when you are travelling, be it lost luggage, hire car damage, sickness, cancellation and travel agent fees and even loss of income due to transport delays. Domestic Travel Insurance – designed for travellers who are under 70 and includes comprehensive travel insurance benefits. International Travel Insurance – available for those under 70 and includes comprehensive benefits. 70+ Traveller – provides International and Domestic Travel Insurance options for travellers aged between 70 and 84. Frequent Traveller – available for those aged 69 and under and who take multiple trips annually. 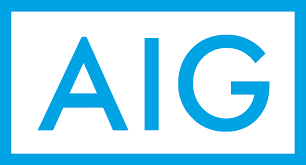 For more information visit the click here to visit the AIG Travel website. Sydney Medical Service Co-operative is a not-for-profit medical deputising service that has been operating since 1966 to provide after hours patient home visit services. All our doctors are RAGCP accredited and we are run by a Board of Directors who are registered general practitioners. Our service is available for any NSW qualified doctor who becomes a Co-operative member to refer their patients throughout the after hours period for treatment. Patients can then call our operators and arrange a home visit when in need or by pre-booking through our website or telephone hotline 1300 HOME GP. We also ensure proper continuity of care by submitting patient reports to the regular doctor by the next working day. Our doctors are active in the Greater Sydney area as far as Campbelltown and Wollondilly to provide prompt and efficient visits to the patients of their referring doctor. Those interested in becoming a Co-operative member, and who are NSW registered GPs can join through our website.Any patients who are in need of home visit treatments can call 1300 HOME GP, after 4pm weekdays, and 10am Saturdays. We offer bulk-billing to patients of our members, and private GP bookings. Mediprotect is pleased to work in partnership with MEDISURE and Health Professional Insurance Online. For almost 30 years UNE Partnerships remains in the top position as the leading provider of practice management education and is the highest regarded and recognised training organisation within Australia; UNE Partnerships is also supported by Australian Association of Practice Managers (AAPM) and is their preferred education provider. Our accredited customised and tailored practice management qualifications have provided all graduates with sound industry knowledge, laying the foundations for a highly rewarding and successful career.